Group 2 - Pervasive Computing: How much is too much? Controversies » Group 2 - Pervasive Computing: How much is too much? In the past twenty years, the population has integrated more and more technology into their everyday lives. Cheap and easy access to mobile computing devices such as smartphones and laptops give users the capability to compute on the go but the next step of human computer interaction sits on the horizon. “Pervasive Computing” serves as a catch phrase for an impending change in mobile and environmental computing. By embedding computers everywhere in the environment, walls, trees, people, tables, your coffee mug, we can create environments that give feedback in a more ubiquitous and nonintrusive way. This article explores some of the potential applications for pervasive computing (PC) and gives a few real world research examples of how new PC devices are being developed. Intel’s Wireless Intelligent Sensing Platform (WISP) architecture represents a major step in computing. The WISP is a power harvesting sensor with the ability perform traditional sensor operations and traditional RFID identification, while maintaining a very small form factor that could embedded into both stationary, hard to reach places, and in or on moving entities. This idea of a pervasive sensor can be carried further. What if we could embed a mobile sensor in a person? The potential applications of this next wave of computing are endless and through this article we hope to tackle the issues associated with further saturation of our environment with computers. Pervasive Computing: How much is too much? Human dependence on computers generates a great deal of controversy and the question is often asked “How often do you need to be able to check your email?”. The concepts of pervasive computing do nothing to curb the skepticism of people in regards to how people can’t live without computers. By further saturating the environment with technologies like the WISP and other mobile computing options, the common person will interact with even more computers in a day than they already do. Tables that can sense surface temperature, doorways that can track your location, and even insulin monitoring computers embedded in your hand are all potential advances that could provide people with ways to live a better life. The question remains “How much is too much?” and at what point has technology overstepped its boundaries. Jimmy John Liautaud’s quote “The gap between more and enough never closes.” drives the stance of a great deal computing research and as such the research below argues that PC is no different. By utilizing WISP style technologies without regard for boundaries and limits, PC can push the limits of human computer interaction in a way that greatly benefits mankind in a variety of ways. In this digital age, what was science fiction years ago has no become scientific reality and PC concepts that seem farfetched to people today are likely to be the expectation of the next generation. The technology examples and applications already being proposed for the WISP serve as strong arguments for why we should not squelch the technologies associated with pervasive computing. Mark Weiser first introduced the concepts of Ubiquitous or Pervasive Computing by stating that “The most profound technologies are those that disappear.” This later led the idea that computers could be embedded in walls, in tabletops, and in everyday objects. While existing in this pervasive computing world, a person might interact with hundreds of computers at a time and each would seamlessly communicate through wireless communication.1 Ten years later, pervasive computing concepts became more discrete and a presentation in 2001 laid out a number of real specific concepts that are associated with pervasive computing. M. Satyanarayanan stated that pervasive computing systems would need to allow for user mobility with distractions from the environmental computers. These computers would need to be able to determine the user’s location, when they arrived, and the identity of the user. Using this information the computer interface could be adaptive to the environment and application and ultimately the computers themselves would be invisible but ever present.2 By definition this spread of computer throughout the environment would the overall system pervasive and in some ways ubiquitous. At the core of the arguments in this article is the WISP sensor device. The pervasive applications of a power-free sensor node are endless, but there a few specific concepts in pervasive computing where the WISP excels. First, the sensor gathers ambient information about the environment without a need for changing its batteries or even being able to know its location. Additionally, it can easily be hidden or made invisible and stores and transmits a variety of user data based through its individual identification code and the location of the reader antenna that powers it. Brain: Ultra Low Voltage Microcontroller – A small specialized computer processor acts as the core of the WISP. Eyes and Ears: Temperature sensors, Accelerometer, similar to those in the Nintendo Wii Controller, and the potential to take on any variety of sensors. Moore’s law says that transistors on integrated circuits will be doubled every 2 years. In basic terms technology will be outdated every two years. This premise lets us know that we need to keep moving forward with improvements in all fields of study. The new technology known as the WISP device will help move us forward in technology and improve the standards of living for people. Some basic implementations of this device occur in energy saving, medical delivery, and monitoring body movements. Saving money is essential in any lifestyle. Through the WISP device we can embed these sensors into a building environment. Then through the (RFID) you can analyze the structural integrity of the building site. This means you could identify all the structural flaws occurring or any part of the site that is experiencing fault. Within the technology boom that is currently developing this could be a big help in changing and saving lives. An example application would consist of assessing damage from an earthquake in order to ensure a building is safe to be entered. This would make maintenance on buildings almost effortless. These sensors do not use anywhere near as much energy as a standard device that would continuously poll the air would cost. “Active wake-up radios consume power, but they have better wake-up ranges than passive wake-up radios. Passive wake-up radios use the energy harvested from the wake-up radio and thus operate over short ranges.”3 Imagine implementing this on your house and having your house only work when your there. This is just one way implementing more computers could improve our standards of living. Not knowing the right dose of a medication can be hazardous to your health and cause serious health implications. One of the new ways WISP technology is improving this is through the dispensary of pills. Many people when prescribed medicines never take their pills on time or even at all. Using a WISP sensor, this system dispenses medication when the user walks by in the morning. The sensor would record how much was dispensed and the temperature of the pills. This may not seem relevant to a younger crowd but for the elderly this could make living at home when with a major illness a possibility. “4 These statistics along with health care being one of the highest expenditures of the gross domestic product (GDP) justify the need for more ubiquitous and more affordable solutions to health care issues.” The WISP can record the temperature of the pills to help keep them in safe environment so they do not denature. 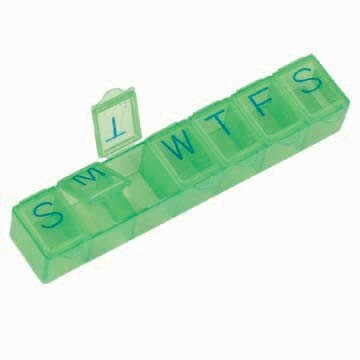 Also this could help people checking in on the elderly know if they have been taking there medication and also if they have been taking the right amount. Implementing this technology could potentially save a lot of lives. movements during sleeping.”5 Sleep irregularities can lead to cardio vascular disease and obesity. Through these readings you will be able to know if the bed is occupied and if there is any movement occurring. This will lead to knowing if you are having sleep irregularities and how you can fix them. Moving forward with this could hopefully lead to WISP sensors in your body and letting you know that your organs are running properly or if you have some type of illness approaching you. In medical facilities this could lead to the exact pinpoint location of problems and saving of money of procedures to identify the issue. All these implementations of technology bring some other points to mind. Embedding these sensors in someone’s body could have unknown side effects. Also you never know who could get a hold of this information and what could they do with it. Another point is that will use of these sensors cause fewer jobs. One person can now maintain all of houses monitors and know what they will need. Finally through use of this technology could cause death if they mess up your organs functions or if they give you the wrong dosage. In conclusion, WISP device is currently in use within a variety of fields and potential utilization in fields, such as energy saving, medical delivery, and sleep monitoring look promising. However, this technology needs to be complemented by other technology to expand its use. WISP could potential be embedded in the human body, a mobile phone, a building, or anyplace where people wish to gather information. In the energy saving field, WISP sensors still have a few functionality problems. If the sensor is poorly configured, the energy efficiency benefits are out weighed by potential errors. This is especially dangerous when applying it to the medical delivery and sleep monitoring examples. A malfunction problem could be much more critical because it directly affects a person and not just a structure or object. An embedded WISP sensor could measure the temperature of the human body, and the sensor give us the data for the medicine use or sleeping information. Although it could be a very helpful device for checking our health, it also could have fatal side effects that might cause death. Therefore, if we want to use WISP in more widely, we need to figure out for the errors of the WISP, and complement them. In fact, there are already many efforts for improving the WISP sensor. Along with sensors, Intel lab is experimenting with the use of microchips to gather energy from other sources, such as the sun or the movement of a trackball in a smartphone, to recharge a battery in a mobile device. “Intel is building power management within a microchip, so power levels could be adjusted microsecond by microsecond in following the fluctuations in energy needed to power CPUs or modules within a chipset, Rattner said. Today, power levels have to be kept higher than needed during light workloads to make sure enough energy is available to meet sudden demands for processing power.”6 As a result, WISP becoming more complete sensor, and finally it is able to use for various fields. 1. Mark Weiser. The computer for the 21st century. Scientific American, 265(3):94-104, September 1991. 2. M. Satyanarayanan. Pervasive Computing: Vision and Challenges. IEEE Personal Communications, 10-17, August 2001. 3. Ba, Demirkol, Heinzelman. Energy saving WISPS. 4. Montefiore, Parry, Philpott. A (RFID)-based wireless sensor device for drug compliance measurement. 5. Hoque. Monitoring Quantity and Quality of Sleeping Using WISPs. Pervasive computing is indeed a rapidly developing area of Information and Communications Technology (ICT). People’s lives and environments is being effected everyday by the increasing use of technology. This could be increased by the growing availability of microprocessors with inbuilt communications devices. Pervasive computing has many potential applications that have been stated in this article, such as health, home care, and structural monitoring. Other examples also of pervasive computing applications are environmental monitoring and intelligent transport system. Pervasive computing can help to improve the ways used to monitor the environment or even provide new methods. Using remote and wireless devices, data collection and analysis can be done in continuous real time. Pervasive computing can help to improve transport systems to reduce the cost of traffic congestion and accidents cost. By combining together information and telecommunications technologies, it is possible to improve the safety, efficiency and productivity of transport networks. Electronic devices could be integrated into the transport infrastructure and the vehicles. This could help to easily monitor and manage the movement of vehicles within road, rail, air and sea transport systems. In conclusion, the article provides a good overview of pervasive computing and the use of WISP. It is well structured and highly organized. It provides a good background and the possible applications of the technology. However, the setbacks part is a little bit short. It could have given more details about the issues this technology faces, such as the kind of side effects it could have on someone’s body. By arguing these issues it would have been more cleared that this article is in the favor of that technology.